Danny Abraham and BC High face a huge test at St. John's Prep Saturday. SuiteSports reporters will be covering high school football games across the Commonwealth this weekend. Here's a look at the games we'll be watching over the next few days. Editor Joe Parello will be at this pivotal Mid-Wach A clash. Algonquin comes in losers of two straight, and winless in the league, while Shrewsbury is coming off a heart breaker against crosstown rival St. John's. The winner here keeps their postseason hopes alive in Division 2 Central, while the loser loses control of their destiny. Keep an eye on the underrated quarterback duel between Algonquin's Ryan Berry and Shrewsbury's Drew Campanale. Each of these teams have looked dominant at times on defense, but some inconsistency has crept in, and each of these signal callers is good enough to take advantage. Reporter Nate Weitzer will be at Doyle Field for a game that is also critical in the Division 2 Central playoff race. Both of these offenses have found their stride lately, but for completely different reasons. 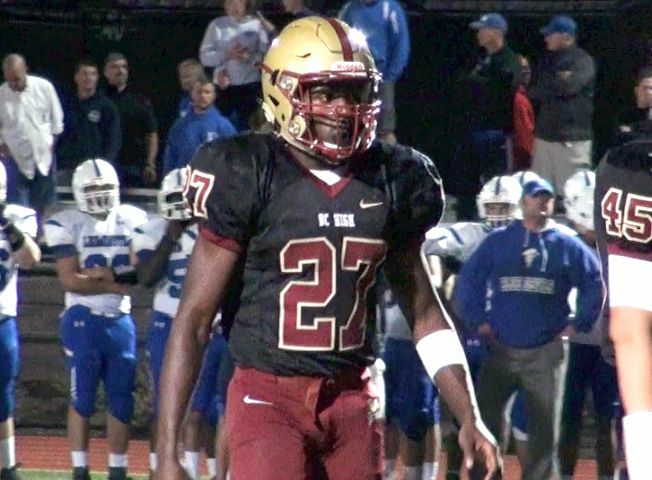 With All-State running back Kevin Mensah cleared to play for the rest of the season, Shepherd Hill has looked like the juggernaut we expected them to be. After an 0-3 start, the Rams have outscored their last two opponents 90-26, and are suddenly back in the thick of the playoff race. Leominster, on the other hand, bounced back from two losses of its own by defeating Algonquin, and did so by moving star quarterback Noah Gray to wide receiver. The move worked out beautifully, as Gray caught three touchdowns against the Tomahawks, but it remains to be seen which re-vamped offense will come out on top Friday night. Reporter Jason Siegel will take in the biggest game of the year in both Division 2A Central, and Mid-Wach B. The winner of this game will likely take the Mid-Wach B crown, and top seed in the D2A Central playoffs, and be primed for a deep postseason run. Both teams come in with identical 3-2 records, and each has already played some stiff competition. In terms of players to watch, it's hard not to keep an eye on Nashoba RB/LB Kyle Hume, who is a bruising runner, but even more special as a sideline-to-sideline tackler at linebacker. Still, don't sleep on Marlboro's Kevin Short, who has emerged as one of the region's top play-making receivers. Reporter Connor Evans will be at the biggest Central Mass game of the weekend, as No. 1 St. John's hosts No. 2 Wachusett. On paper, the Mountaineers would seem to have all the ingredients to pull off the upset- Wachusett has a defense that travels, a brutal offensive line, and four different running backs that can each wear a defense out. But things won't be easy, against the powerful St. John's defense, led by linebacker Jack Fields, along with defensive linemen Flynn McGilvray and Tom Feraco. This one has the look of an instant classic. This year's battle of the Eagles should be a great one as well, as BC High has rightfully earned "favorite" status in Division 1 this year, but a young St. John's Prep has talent littered throughout the roster. It's hard to beat the Prep at home, but with running back Danny Abraham and quarterback Connor Cady running wild, BC High has as good a shot as anybody. Nate Weitzer will be at this game as well, for full coverage of this Catholic Conference Clash.